The new kind of fan grill and filter from Silverstone does more than just look good! This grill offers not only the "normal" advantages of a fan grill and filter such as protection from the fast-spinning fan or protection from dust: It also concentrates the airflow! On normal fans the airflow dissipates in a cone shape, resulting in strongly decreasing airflow with distance. 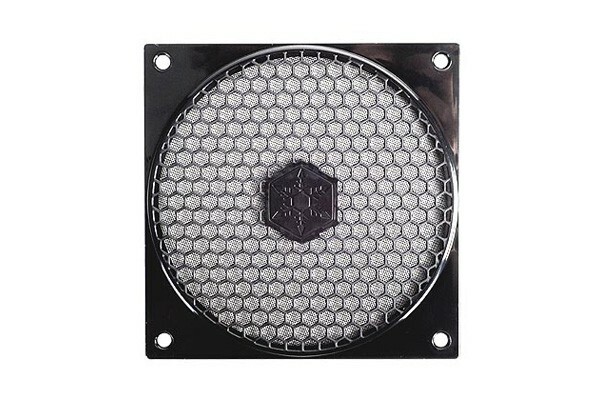 With this fan grill this effect is greatly minimized and allows focused use of the airflow. This allows great cooling of the important components in the case with only little effort. Ja es sind Schrauben mit dabei.